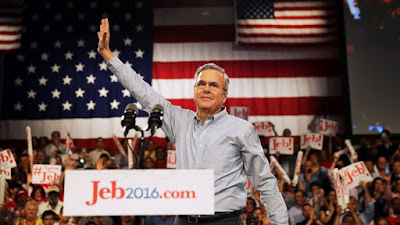 Today, for some odd reason, Jeb Bush announced he's running for President. Apparently, it was a spur of the moment decision, as he didn't have time to dress like a grown-up in a suit and tie for the occasion. "guy who sits in the cubicle behind me at work." Also, he didn't have time to print his entire name on his campaign logo. Ain't nobody got time for that. Except LOSERS. His official campaign slogan apparently is "Jeb Exclamation Point 2016." It conveys...familiarity? Excitement? Knowledge of when the election will be held? Because a nation worrying about terrorism, social divisions, and long-term economic stability needs a leader who understands that we elect a president every four years. So the Internet has been having a wonderful time with Jeb! 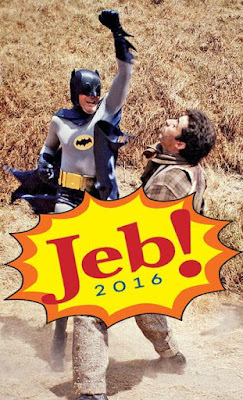 's (I feel I can call him Jeb!, because Jeb!) personal brand, making some amusing analogies and whatnot. 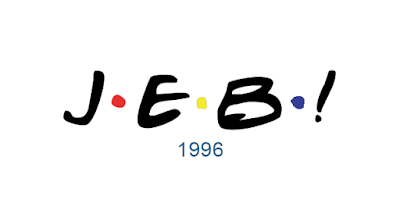 He'll be there for you. But for me, only one thought occurred to me when I saw Lil Bro Bush's campaign logo. 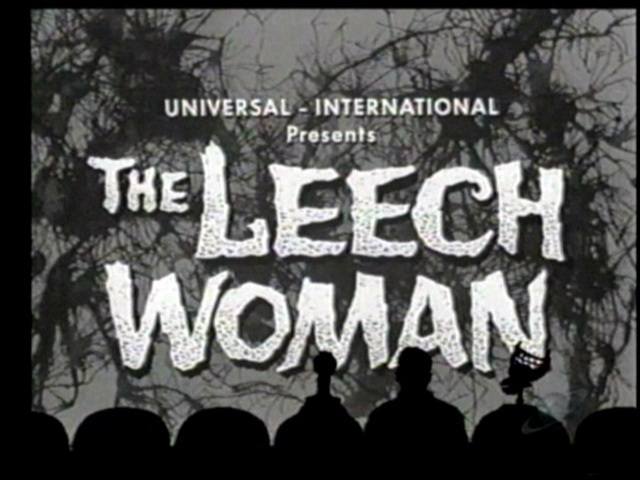 And that is: Mystery Science Theater 3000's riff on the classic B-movie The Leech Woman. If you know what I'm talking about, you know what I'm talking about. If you don't...you don't. Sorry. Be sure to vote the logo of your choice in 2016. 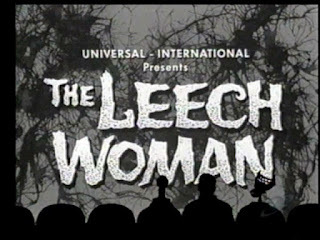 A little Robot Roll Call is the ideal way to start the morning, but even before I flashback to late nights in the common room and seeing RiffTrax live I keep laughing about the obvious...Jeb wants people to ignore his last name. I can't stop laughing about that. He left off his last name?